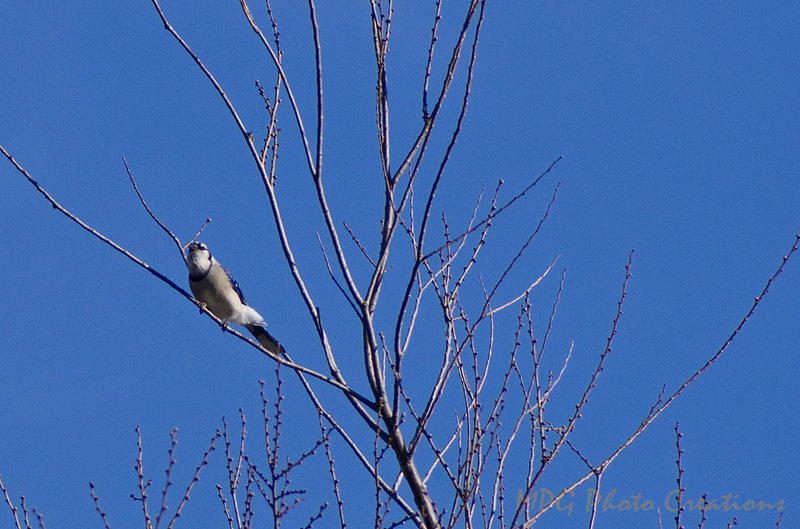 This is an older image of a Blue-jay in my yard. They are so hard to get. I see them occasionally but I can get a photo of them rarely and it's far away like this. I liked it's pose in this so decided to share it.